Ever feel down or know someone displaying potential depression symptoms? Take notice because increasing depressive symptoms in older adults could potentially represent an early stage of dementia, according to a long term study. As we age, different life changes can trigger new or ongoing feelings of depression. Maybe a loved one has been feeling down or you notice they just aren’t enjoying their life as in the past. Depression can have various symptom trajectories. Sometimes it’s intense symptoms that can quickly resolve. Other times it’s chronic with ongoing management needed or starts with mild symptoms which increase over time. In this study, data was collected and analyzed from the Rotterdam Study, a population based study allowing the researchers to track the development of depressive symptoms over 10 years. What they found was a potential connection between increasing depressive symptoms and the development of dementia. What this means for the average older adult is this: pay attention to any depressive symptoms to manage and alleviate them if at all possible. If not, mild symptoms may slide into major depression or dementia could potentially develop. Often times, we may think mild depressive symptoms are natural, especially after retirement or a life event such as a loss of a loved one or change in living situation. While this may be true, it’s important to stay mentally and socially engaged to ward off any potential dementia in the future. This is especially important during those times when depressive symptoms could naturally appear. Let’s keep our older adult friends, loved ones and ourselves stimulated in mind and body to help with any depressive symptoms. This will engage our brains and could even prevent a path leading to dementia. This study is just one more example of the founding principles of MemoryMinders: to engage mind and body to optimal memory wellness. Contact us if we can be of service in helping you maintain or even enhance your mind and memory wellness. 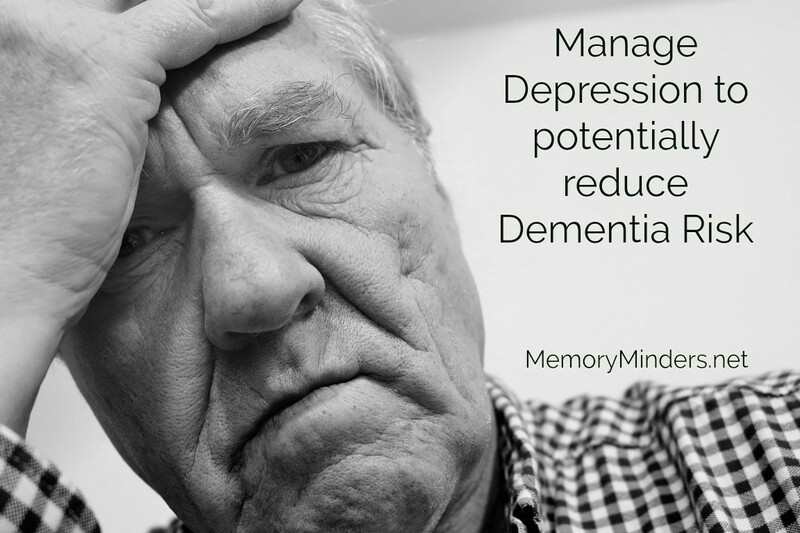 Keep any potential depressive symptoms in check with early intervention and you could prevent dementia in later life!